I found my great grandfather’s grave in an American cemetery in Belgium. 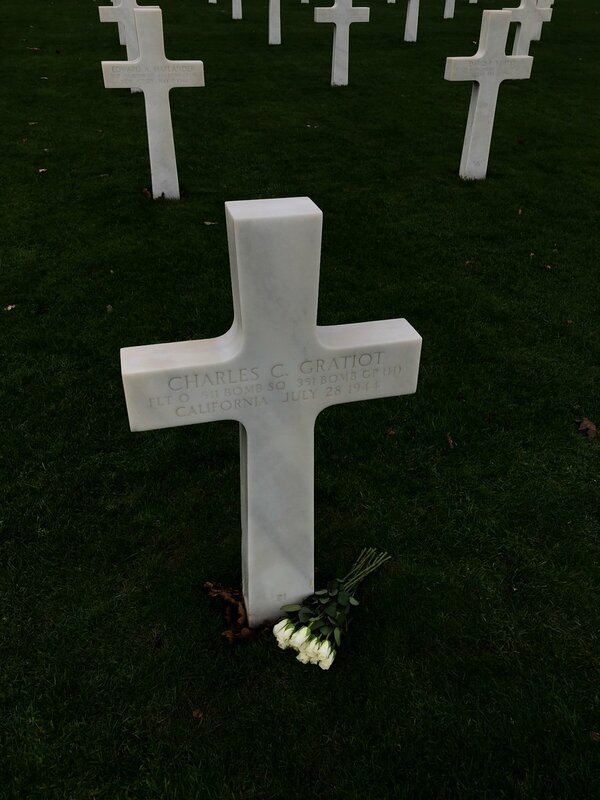 A few days ago I found my great grandfather’s grave in an American cemetery in Belgium. I set out to find it with the plan to take a photograph and surprise my grandmother with it. The photo is being printed right now so she doesn’t know about it yet. No one tell her. I don’t think anyone has ever visited his grave before because it was so far away from Oakland, California, where his parents and wife lived. It’s a coincidence that I also live in Oakland now when I have no family here except my cousin Marty from the other side of the family, and it is another coincidence that I visit Belgium often, where I also have no family. My great grandmother was still pregnant with my grandmother when he went off to war, so she never got to meet her father. She displays his photo and medals every Veterans and Memorial day. My great grandmother bought me my first good computer when I was in graphic design college. She also took my to Hawaii, her favorite place, when I was sixteen. She was a very generous and funny person. Anyway, I have a lot of scattered thoughts about this experience and will probably work out a personal essay, but it’s a little overwhelming right now. Or in more simple words: History is now! One of the first places I visited in Belgium this trip, by accident, was another cemetery. This was a small one attached to a catholic church and some of the plots had signs saying they were going to be removed and placed elsewhere because the plot payments hadn’t been renewed which is crazy to me. Capitalism after death. I found a family plot for three unmarried sisters. They stood out to me because it seems rare, but cool, that all three sisters remained unmarried, especially in those days. "In medieval Europe with its strict classification of women as virgins, wives, and widows, any woman who did not fit into one of three categories risked being equated with a member of the only identifiable, demarcated group that did not fit: prostitutes." An independent woman, both symbolically and financially, threatened the established patriarchy. This marked a shift in the perception of singlewomen that followed them into the early modern era. "Strong and healthy single women under the age of fifty were forbidden to rent houses or rooms, but to go into service; women with a bad reputation were to be evicted by their landlords. Such regulations were a further pointer to women's worsening employment prospects in the early modern period." The irony is the footnote number is my current age. That’s all I have to share this time. I’ll end on a new custom poem featuring the word “sleeper” submitted by Pete Gamlen.